For other uses, see All Watched Over by Machines of Loving Grace (disambiguation). All Watched Over by Machines of Loving Grace is a BBC television documentary series by filmmaker Adam Curtis. In the series, Curtis argues that computers have failed to liberate humanity, and instead have "distorted and simplified our view of the world around us." The title is taken from a 1967 poem of the same name by Richard Brautigan. The first episode was originally broadcast at 9 pm on 23 May 2011. In the first episode, Curtis traces the effects of Ayn Rand's ideas on American financial markets, particularly via the influence on Alan Greenspan. Ayn Rand was born in Russia and moved to America in 1928. She worked for Cecil B. DeMille, receiving inspiration for what would later become The Fountainhead. Later, she moved to New York and set up a reading group called The Collective where they considered her work. On advice from a friend, Greenspan (then a logical positivist) joined The Collective. When published, although critically savaged, Rand's Objectivist ideas were popular, and influenced people working in the technology sector of California. The Californian Ideology, a techno-utopian belief that computer networks could measure, control and help to stabilise societies, without hierarchical political control, and that people could become 'Randian heroes', only working for their own happiness, became widespread in Silicon Valley. Rand had an affair with Nathaniel Branden, another married person in The Collective, which she justified in terms of her value of "rationality", and with the approval of his wife. After several years, the affair ended violently and it was revealed to the rest of The Collective, which disbanded. Rand ended up alone in her New York apartment, although Greenspan continued to visit. Greenspan entered government in the 70s, and became Chairman of the Federal Reserve. In 1992, he visited the newly elected Bill Clinton. He persuaded him to let the markets grow, cut taxes, and to let the markets stabilise themselves with the help of computer technology, to create the New economy. This involved using computer models to predict risks and hedge against them, in accordance with the Californian Ideology. However, by 1996, the production figures had failed to increase, but profits were nevertheless rising, and Greenspan suggested that it wasn't working. After political attacks from all sides, Greenspan changed his mind and decided that perhaps the New Economy was real after all, but that it couldn't be measured using normal economic measures, and so the apparent boom continued. In 1994, Carmen Hermosillo published a widely influential essay online, "Pandora's Vox: On Community in Cyberspace", and it began to be argued that the use of computer networks had led not to a reduction in hierarchy, but actually a commodification of personality and a complex transfer of power and information to corporations. Although the Asian miracle had led to long-term growth in South Korea and other countries, Joseph Stiglitz began warning that the withdrawing of foreign financial investment from the Far Eastern economies could cause devastation there. However, he was unable to warn the president having been blocked by Robert Rubin, who feared damage to financial interests. The 1997 Asian financial crisis began as the property bubble in the Far East began to burst in Thailand, causing large financial losses in those countries that greatly affected foreign investors. While Bill Clinton was preoccupied with the Monica Lewinsky scandal, Robert Rubin took control of foreign policy and forced loans onto the affected countries. However, after each country agreed to be bailed out by the IMF, foreign investors immediately pulled their money out of those countries, leaving their taxpayers with enormous debts and triggering massive economic disasters. After his handling of the economic effects of 9/11, Alan Greenspan became more important, and in the wake of the Enron scandal he cut interest rates in a bid to stimulate the economy. Unusually, this ostensibly failed to cause inflation. It seemed the New Economy was working to stabilise the economy. However, in reality, to avoid a repeat of the earlier collapse, China's Politburo had decided to manage America's economy via similar techniques to those used by America on other Far Eastern countries. By keeping China's exchange rate artificially low, they sold cheap goods to America, and with the proceeds, bought American bonds. The money flooding into America permitted massive loans to be made available to those who would previously have been considered too risky. In America, the belief was that computers could stabilise and hedge the lending of the money. This permitted lending beyond the point that was actually sustainable. The high level of loan defaulting led ultimately to the 2008 collapse due to a housing bubble similar to that which Far Eastern countries had previously faced. Curtis ends the piece by pointing out that not only has the idea of market stability failed to bear out in practice, but that the Californian Ideology has also been unable to stabilise it. Indeed, the ideology has not led to people being Randian heroes, but has trapped them in a rigid system of control from which they are unable to escape. This episode investigates how machine ideas such as cybernetics and systems theory were applied to natural ecosystems, and how this relates to the false idea that there is a balance of nature. Cybernetics has been applied to human beings in an attempt to build societies without central control, self organising networks built of people, based on a fantasy view of nature. Arthur Tansley had a dream where he shot his wife. He wanted to know what it meant, so he studied Sigmund Freud. However, one part of Freud's theory was that the human brain is an electrical machine. Tansley became convinced that, as the brain was interconnected, so was the whole of the natural world, in networks he called ecosystems, which he believed were inherently stable and self-correcting, and which regulated nature as if it were a machine. Jay Forrester was an early pioneer in cybernetic systems who believed that brains, cities and even societies live in networks of feedback loops that control them, and he thought computers could determine the effects of the feedback loops. Cybernetics therefore viewed humans as nodes in networks, as machines. The ecology movement also adopted this idea and viewed the natural world as systems, as it explained how the natural system could stabilise the natural world, via natural feedback loops. Howard T. Odum and Eugene Odum were brothers, and both of them ecologists. Howard collected data from ecological systems and built electronic networks to simulate them. His brother Eugene then took these ideas to make them the heart of ecology, and the hypothesis then became a certainty. However, they had distorted the idea and simplified the data to an extraordinary degree. That ecology was balanced became conventional wisdom among scientists. Meanwhile, in the 1960s, Buckminster Fuller invented a radically new kind of structure, the geodesic dome, which emulated ecosystems in being made of highly connected, relatively weak parts. It was applied to the radomes covering early warning systems in the Arctic. His other system-based ideas inspired the counterculture movement. Communes of people who saw themselves as nodes in a network, without hierarchy, and applied feedback to try to control and stabilise their societies, and used his geodesic domes as habitats. These societies mostly broke up within a few years. Also in the 1960s, Stewart Brand filmed a demonstration of a networked computer system with a graphics display, mouse and keyboard that he believed would save the world by empowering people, in a similar way to the communes, to be free as individuals. In 1967, Richard Brautigan published the poetry work All Watched Over by machines of Loving Grace. The title poem called for a cybernetic ecological utopia consisting of a fusion of computers and mammals living in perfect harmony and stability. The arguments in this part of the documentary closely echo Andrew Kirk's 2007 environmental history of the California-appropriate technology movement, Counterculture Green: The Whole Earth Catalog and American Environmentalism. By the 1970s, new problems such as overpopulation, limited natural resources and pollution that could not be solved by normal hierarchical systems had arrived. Jay Forrester stated that he knew how to solve this problem. He applied systems theory to the problem and drew a cybernetic system diagram for the world. This was turned into a computer model, which predicted population collapse. This became the basis of the model that was used by the Club of Rome, and the findings from this were published in The Limits to Growth. Forrester then argued for zero growth in order to maintain a steady equilibrium within the capacity of the Earth. However, this was opposed by many people within the environmental movement, since the model did not allow for people to change their values to stabilise the world, and they argued that the model tried to maintain and enforce the current political hierarchy. Arthur Tansley who had invented the term ecosystem, had once accused Field Marshal Jan Smuts of the "abuse of vegetational concepts". Smuts had invented a philosophy called holism, where everyone had a 'rightful place', which was to be managed by the white race. The 70s protestors claimed that the same conceptual abuse of the supposed natural order was occurring, that it was really being used for political control. At the time, there was a general belief in the stability of natural systems. However, cracks started to appear when a study was made of the predator-prey relationship of wolf and elks. It was found that wild population swings had occurred over centuries. Other studies then found huge variations, and a significant lack of homeostasis in natural systems. George Van Dyne then tried to build a computer model to try to simulate a complete ecosystem based on extensive real-world data, to show how the stability of natural systems actually worked. To his surprise, the computer model did not stabilize like the Odums' electrical model had. The reason for this lack of stabilization was that he had used extensive data which more accurately reflected reality, whereas the Odums and other ecologists had "ruthlessly simplified nature." The scientific idea had thus been shown to fail, but the popular idea remained in currency, and even grew as it apparently offered the possibility of a new egalitarian world order. In 2003, a wave of spontaneous revolutions swept through Asia and Europe. Coordinated only via the internet, nobody seemed to be in overall charge, and no overall aims except self-determination and freedom were apparent. This seemed to justify the beliefs of the computer utopians. However, the freedom from these revolutions lasted for only a short time. Curtis compares them with the hippie communes, all of which had been broken up within a few years by, "the very thing that was supposed to have been banished: power." Aggressive members of the group began to bully the weaker ones, who were unable to band together in their own defence because formal power structures were prohibited by the commune's rules, and even intervention against bullying by benevolent individuals was discouraged. Curtis closes the episode by stating that it has become apparent that while the self-organising network is good at organising change, it is much less good at what comes next; networks leave people helpless in the face of people already in power in the world. This episode looks into the selfish gene theory invented by William Hamilton, which holds that humans are machines controlled by genes. Curtis also covers the source of ethnic conflict that was created by Belgian colonialism's artificial creation of a racial divide and the ensuing slaughter that occurred in the Democratic Republic of the Congo, which is a source of raw material for computers and cell phones. William Hamilton went to Kisangani in the Democratic Republic of the Congo while the Second Congo War was raging. He went there to collect Chimpanzee faeces to test his theory that HIV was due to a medical mistake. Unfortunately he caught malaria, for which he took aspirin, which caused a haemorrhage, and he died. However, his selfish gene theory survived. In 1960, Congo had become independent from Belgium, but governance promptly collapsed, and towns became battle grounds as soldiers fought for control of the mines. America and the Belgians organised a coup, and the elected leader, Patrice Lumumba, was kidnapped and executed, causing chaos. However, the Western mining operations were largely unaffected. Bill Hamilton was a solitary man who saw everything through the lens of Darwin's theory of evolution. When he wanted to know why some ants and humans give up their life for others, he went to Waterloo station and stared at humans for hours, looking for patterns. In 1963, he realised that most of the behaviours of humans were due to genes, and he began looking at humans from the genes' point of view. Humans were machines that were only important for carrying genes, and it made sense for a gene to sacrifice a human if it meant that another copy of the gene elsewhere could prosper. In the 1930s, Armand Denis made films that told the world about Africa. However, his documentary gave fanciful stories about Rwanda's Tutsis being a noble ruling elite originally from Egypt, whereas the Hutus were a peasant race. In reality, they were racially the same, and the Belgian rulers had ruthlessly exploited the myth. But when it came to independence, liberal Belgians felt guilty, and decided the Hutus should overthrow the Tutsi rule. This led to a bloodbath, as the Tutsis were then seen as aliens and were slaughtered. In 1967, American George R. Price went to London after reading Hamilton's little-known papers and discovering that he was already familiar with the equations, and that they were the equations of computers. He was able to show that the equations explained murder, warfare, suicide, goodness and spite, since these behaviours could help the genes. John von Neumann had invented self-reproducing machines, but Price was able to show that the self-reproducing machines were already in existence — humans were the machines. This had a bad effect on Price, and Price began to believe that these equations had been given to him by God, even though some argue that they are evidence against the existence of God. In Congo, with a civil war ongoing, Dian Fossey, who was researching gorillas, was captured. She escaped and created a new camp high up on a mountain in Rwanda, where she continued to study gorillas. She tried to completely protect the gorillas, which were very susceptible to human diseases and were hated because they terrorised the local people. In 1973, after converting to extreme Christianity, as a last chance to disprove the selfish gene theories' gloomy conclusions, Price decided to start helping poor and homeless people, giving away all his possessions in acts of random kindness, influenced and inspired by Christian religion. 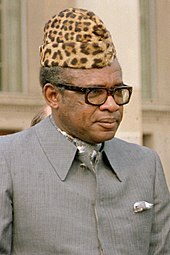 In the Congo, Mobutu Sese Seko changed the Congo's name to Zaire and looted millions of dollars and let mines and industries collapse, killed his opponents and stopped a liberal democracy from forming. While this was happening, at Dian Fossey's camp, Digit, her favourite gorilla, had been killed by locals, and later she was too. Price's attempt to disprove Hamilton's theory had utterly failed, and he came to believe that he was being followed by the hound of heaven. He finally revealed, in his suicide note, that these acts of altruism brought more harm than good to the lives of homeless people. Richard Dawkins took the equations and popularised them and explained that humans are simply machines created by the selfish genes. In a sense, reinventing the immortal soul, but as computer code in the form of the genes. In 1994, the ruling Hutu government set out to eradicate the Tutsi minority. This was explained as incomprehensible ancient rivalry by the Western press. In reality it was due to the Belgian myth created during the colonial rule. Western agencies got involved, and the Tutsi fought back, creating chaos. Many flooded across the border into Zaire, and the Tutsi invaded the refugee camps to get revenge. Mobutu fell from power. Troops arrived from many countries, allegedly to help, but in reality to gain access to the country's natural resources, used to produce consumer goods for the West. Altogether, 4.5 million people were killed. By this point Hamilton was well-honoured. However, by now he supported eugenics. He heard a story that HIV had been created from an accident with a polio vaccine, which it was thought could have been contaminated with a chimp virus. This supported his idea that modern medicine could be negative, as he thought medicine opposed the logic of the genes. So he travelled to eastern Congo to look for the virus, amid the murder and chaos. He died, and later research disproved the idea that HIV had come from a medical accident. Curtis ends the episode by saying that Hamilton's ideas that humans are computers controlled by the genes have become accepted wisdom. But he asks whether we have accepted a fatalistic philosophy that humans are helpless computers to explain and excuse the fact that, as in the Congo, we are effectively unable to improve and change the world. In May 2011, Adam Curtis was interviewed about the series by Katharine Viner in The Guardian, by the Register and by Little Atoms. Catherine Gee at the Daily Telegraph said that what Adam Curtis reveals, "is the dangers of human beings at their most selfish and self-satisfying. Showing no compassion or consideration for your fellow human beings creates a chasm between those able to walk over others and those too considerate – or too short-sighted – to do so." John Preston also reviewed the first episode, and said that although it showed flashes of brilliance, it had an "infuriating glibness too as the web of connectedness became ever more stretched. No one could dispute that Curtis has got a very big bite indeed. But what about the chewing, you ask. There wasn’t any – or nothing like enough of it to prevent a bad case of mental indigestion." Andrew Anthony published a review in The Observer and The Guardian, and commented on the central premise that we had been made to "believe we could create a stable world that would last for ever" but that he doesn't "recall ever believing that 'we' could create a stable world that would last for ever", and noted that: "For the film-maker there seems to be an objective reality that a determined individual can penetrate if he is willing to challenge the confining chimeras of markets and machines. Forget the internet tycoons. The Randian hero is Curtis himself." ^ The Guide (9 April 2011). "Populist: The column that's looking for a natural break". The Guardian. Retrieved 18 June 2011. ^ a b "All Watched Over by Machines of Loving Grace – video". The Guardian. 6 May 2011. Archived from the original on 9 May 2011. Retrieved 18 June 2011. ^ "All Watched Over by Machines of Loving Grace". BRAUTIGAN.net. 10 June 2011. Archived from the original on 19 July 2011. Retrieved 18 June 2011. ^ "Introducing Humdog: Pandora’s Vox Redux", Folksonomy.co. ^ Viner, Katharine (6 May 2011). "Adam Curtis: Have computers taken away our power?". The Guardian. Archived from the original on 7 May 2011. Retrieved 19 June 2011. ^ Orlowski, Andrew (23 May 2011). "Adam Curtis: The Rise of the Machines Cybernetics, ecosystems and pop". The Register. Retrieved 19 June 2011. ^ Dave (5 June 2011). "Interview with Adam Curtis on Pulse". Pulse. Retrieved 20 June 2011. ^ Gee, Catherine (23 May 2011). "All Watched Over by Machines of Loving Grace, review". The Telegraph. Retrieved 20 June 2011. ^ Preston, John (27 May 2011). "All Watched Over by Machines of Loving Grace, BBC Two, review". The Telegraph. Retrieved 20 June 2011. ^ Anthony, Andrew (29 May 2011). "Rewind TV: All Watched Over by Machines of Loving Grace; Strangeways – review". The Guardian. Retrieved 20 June 2011. Curtis, Adam (29 May 2011). "How the 'ecosystem' myth has been used for sinister means". The Observer. This article by Adam Curtis in The Observer complements the second episode.